Dr. Chen began at Tech in 1988 as an Assistant Professor. Prior, he was a Visiting Assistant Professor at Syracuse University. Dr. Chen's research interests include automatic control, mechanical systems, manufacturing, neural networks, and fuzzy engineering. However, his focus is the exploration of uncertainty management. He has been studying the cause, description, and consequences of uncertainty issues in engineering problems. Dr. Chen believes this is a major theme that marks the essence of engineering, as compared with applied science. Taih-Shyun Lee, Ye-Hwa Chen, and Jason C.-H. Chuang. 2005. Robust Control Design of Fuzzy Dynamical Systems. 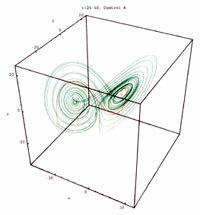 Applied Mathematics and Computation 164(2), 555-572. Ye-Hwa Chen. 2005. Mechanical Systems Under Servo Constraints: The Lagrange's Approach. Mechatronics 15(3), 317-337. Ye-Hwa Chen. 2004. Effects of Security Measures: Deterrent Versus Diversion. Journal of Aerospace Engineering 17(3), 113-122. Chih-Lyang Hwang, Chau Jan, and Ye-Hwa Chen. 2001. Piezomechanics Using Intelligent Variable-Structure Control. IEEE Transactions on Industrial Electronics 48(1), 47-59. J. Joh, R. Langari, and Y. H. Chen. 1998. On the Stability Issues of Tagaki-Sugeno Fuzzy Models. IEEE Transactions on Fuzzy Systems 6(3), 402-409.